"It always happens this way." "On current trends . . . ."
As we try to weed out very quickly those investment and business recommendations which aren’t worth taking time to consider, one of my indicators is this: Does the proponent of the recommendation assume that current market conditions will continue unchanged, and base the recommendation on that assumption? Does the proponent assume that some current trend in the market will always be the trend in the market? Any recommendation which is based on the assumption that the way things are today is the way they will be tomorrow does not take into account the natural variability of about everything in business—let alone what is called the "black swan" event: one which may be unlikely but which, if it occurs, will cause all projections to be wrong in a big way. 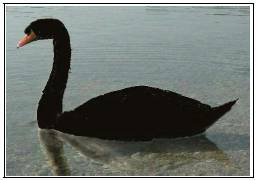 The recent financial crisis in this nation was at least in part a result of ignoring the black swan, because many experts concluded that certain risks were so unlikely to occur that they needn’t be taken into account. See "black swan theory", http://en.wikipedia.org/wiki/Black_swan_theory. To some degree, simply to continue to function day after day, we have to proceed as though there will be no black swans in our path. When it comes to business or investment proposals, however, I like to see that the proponent’s analyses include at least some consideration of even very unlikely "what ifs"—because at least one of those unlikely what ifs (the black swans) may well occur. What are the back-ups? What are the safety mechanisms? If the proponent is so convinced of his or her idea that he or she thinks there is no need to consider back-ups and safety mechanisms, that’s all I need to know, to turn my attention elsewhere. Surprises happen. Good ideas and good thinking take that into account.